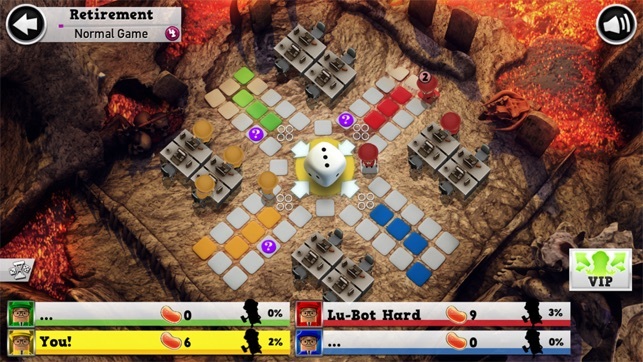 Play the classic board game of Ludo wherever you are! 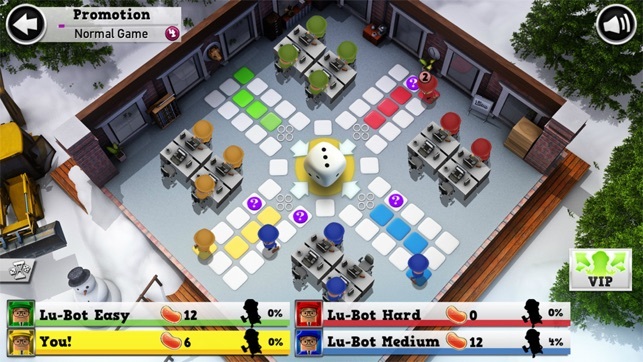 Play online or offline with the hilarious Mr Ludo office characters! 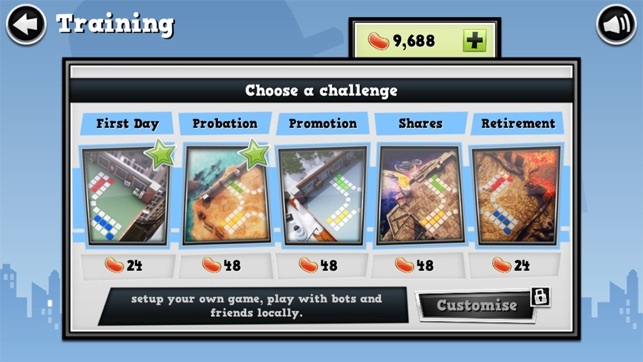 Can you escape the office before your opponents? 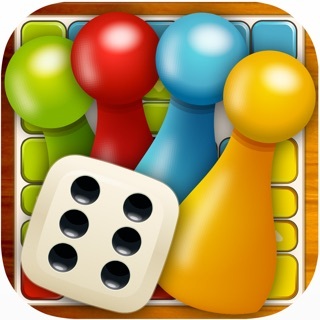 With over 1 Million downloads and a lively community, Mr Ludo is the most best, most popular Ludo game for iOS! 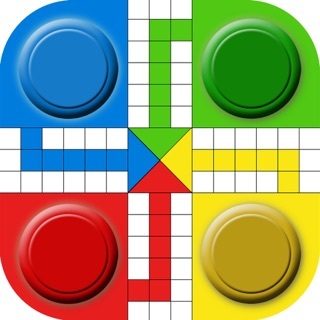 Come join us and have fun playing the classic game of Ludo! 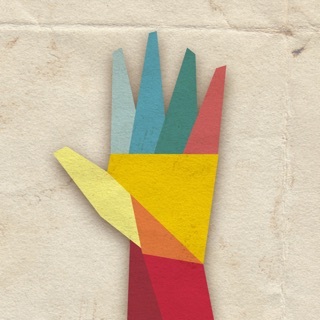 • Mr Ludo! Hilarious Mr Ludo characters that will make you cry with laughter! • Play against friends or other players from around the world. • Interactive, real-time online play for up to 4 players. • Additional Express Mode – Play a quick game if you are in a hurry or on a short lunch break. • Offline Mode – Play on the same device or against the AI! • Six vastly different environments - From tropical islands to wacky outer space. • Super connectivity – works on 3G & WiFi – Also allows you to resume if you are disconnected. So what are you waiting for? 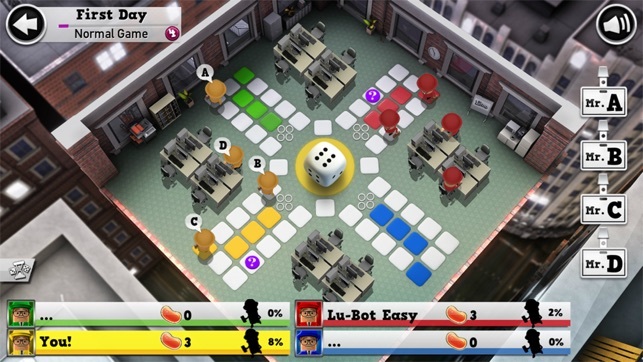 It's time to roll the dice, escape the office early and leave your fellow co-workers to finish your work! You deserve it! 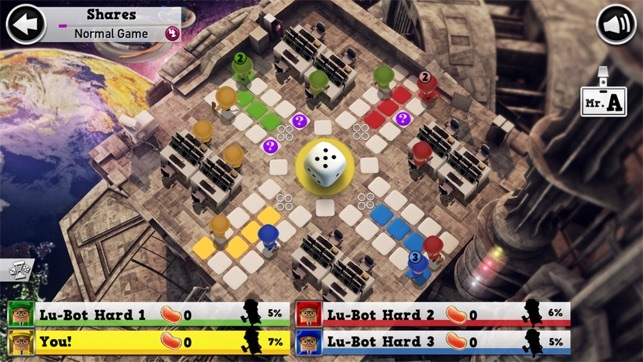 Enjoy this fantastic online multiplayer game and re-live the good old Ludo days! minor bugs fixed, compatibility improved, better communication. Half the time it doesn’t even have enough players online to even play with anybody. And you can tell who is going to win by what the computer rolls for you. You shouldnt always get perfect rolls to take somebody all the time. If I am eight spaces away and my opponent always will roll a six and then at two. Even if I am three spaces ahead. My opponent will roll the exact amount to take me. And It’s done it to me as well. But it all the time. And you know which one the computers going to rag on because it’s constantly NOT letting you get anywhere. Example it won’t let you roll a six to get out. I rolled 24 times before it let me out because I did not have the points to pay for somebody to take me out of my home. Two of my opponents already had two pieces taken all the way around. So basically I lost at that point because I can’t catch up to that they were already halfway around with their next piece. I won’t even waste my time on this game. I love this game. I truly LOVE IT! But ... for the last several weeks, the multiplier doesn’t work at all. For those that do not know the game, once your coin level drops very low, you are given a multiplier button which will multiply your coins by 2 to 9 based upon a random pick. It quit working weeks ago. That’s frustrating but not a deal breaker. What is worse is that, when you purchase a pack, you must wait a few days, delete the game and reinstall to get your purchase to show. I’ve reached out to support and am totally ignored. Come on, guys! It’s a great game. Show your customers a little love. Fix the glitches and answer emails please. Playing is fun online against others but when you play the computer, you can clearly tell the computer is of course winning. It’s irritated me enough to actually write the dice rolls down. 4 1s in a row and all 3 of the computer people are rolling 5s and 6s consecutively.. coincidence? I think not. Super irritating. Please fix so I can actually invite others to play.